Did you play soccer as a kid? I did and let me tell you something, brother: it wasn’t pretty. Nope, I was a baggy-shorts wearing, skinned-knees masterpiece of fumbly awkwardness. I would strap my glasses around my head, velcro up my sneakers, and keep the bench warm in case someone got hurt. My appearances were always marked by dark sweeping clouds, sudden hail storms, and my parents sitting on the sidelines in plastic lawn chairs with hot tears in their eyes as I brought down our family’s good name one defensive miscue at a time. 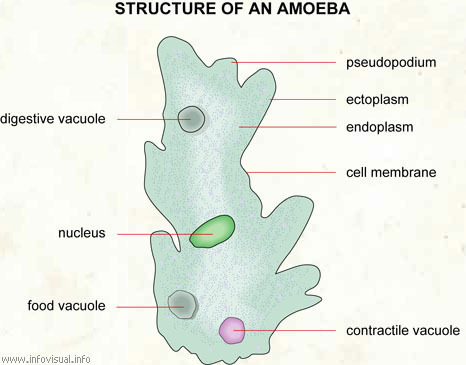 On the plus side, most of our childhood games featured a dramatic and neverending display of our team’s best offensive strategy: The Amoeba. Basically, we would get into a giant, snot-nosed clump of dirty running shoes and hairless legs and run after the ball in a Braveheartesque death charge, only with less face paint and more grass stains. When The Amoeba slid down field we’d leave our goalie all alone and he’d become a quiet six-year-old study in zen mastery. Yes, we’d be rushing away and he’d absentmindedly play with his shoelaces, catch grasshoppers, or stare deep into the core of the sun. When The Amoeba slid down field we were unstoppable. We’d kick ball after ball to the back of the net and then run around like maniacs. Most of our goals went in because their goalie was busy studying zen mastery as well. And sure, our games lacked acrobatic scissor-kicks, field-length boots, and curvy corner shots, but they sure had goals and plenty of them. Yes, it’s always electric when careful criss-crossing climaxes in booming shots to the back of the net. And it’s always a bit disappointing when it doesn’t. It sure is great watching soccer and actually seeing a goal. So just hold your breath, cross your fingers, and pray it eventually happens. I love the name “The Amoeba” … way cooler than what was formerly known in my mind as the “Kindergarten Clump” … Anyway, no matter what it’s called, watching little-kid soccer never fails to entertain. A goal, should one occur in such an instance, is an added bonus! Seeing your team get their first goal in a World Cup is awesome. Watching them draw with the world #5’s when we are 78th in the rankings.. I fully agree, GO THE ALL WHITES!! That was a good match! I loved all the crazy “Kiwi” costumes in the crowd, too! My fav’s were a guy with an inflatible kiwi strapped onto his head like a hat, and the guy in a full body furry kiwi suit. Dressing up for the game: awesome! It makes me happy that someone from NZ is reading this too! And watching them get a goal in the LAST MINUTE OF STOPAGE TIME, omw… AWESOME! I was just about to come here and say the SAME THING. The future of football in NZ is so bright…I gotta wear shades!! Zen mastery is an art form! My 6-yr-old self used to practice cartwheels, much to the amusement of parent spectators. I love that. It’s like half-time entertainment, without having to wait for half-time! My kid used to look for 4-leaf clovers. Not nearly as entertaining for the spectators. I definately was the goalie who was doing cartwheels and handstands! …yes, 90 minutes without any score…England…can be extremely boring!!!!!!!! it’s not cool to pick on something you don’t understand. football is the most popular sport in the world for a reason… if you don’t get it maybe you’re the one at fault? soccer is boring to watch but it’s fun to play. we all know this. however it is cool to flip to a match just as someone scores. don’t be so easily offended. take our beloved American baseball. anyone who’s ever played on a team knows that it rocks. but many of us have been victims of boring games in the stands. I don’t think he’s being nasty, don’t take it to heart. dude…he’s not picking on football. he’s just saying that it’s awesome when you DO see a goal. I was the goalie back in the day. Oftentimes I would just sit cross-legged plucking grass blades and checking just how strong the breeze was. Luckily as kids the other team wasn’t crafty enough to try and kick the ball into the side of the net. Sometimes they kicked it right to me, which always made me look good. I got alllllll the ladies. I love soccer. Even without a goal though it is still fun to watch. I find it the spiked interest in the world cup this year outstanding. This post is terrific! Totally brings back childhood soccer memories (mine and my child’s). I can personally identify with the brilliant phrase: “bringing down our family’s good name, one defensive miscue at a time.” Ah, good times! btw, cool email story – the Book of Awesome at the World Cup. That is excellent! What’s with all the All Whites love here? GO SOCCEROOS! I am aware we have no hope, but still, can I hear an AUSSIE AUSSIE AUSSIE OI OI OI? Um maybe cos we’re doing waaaaayyyy better than you guys! Its kinda like when the socceroos did really well in 2006 except better cos its NZ this time! Go the All Whites bring on Friday morning! Awesome that this awesome thing was posted today, as my country just beat North Korea by 7-0! You would have seen 7 when Portugal beat North Korea this morning. However I preferred the lower scoring Cameroon vs Denmark game as the teams were more evenly matched. One of the beauties of football is that despite being a simple concept a goal is hard to score – it needs skill or luck or a combination of both if both teams are playing well which is why they are so special. Being able to watch the World Cup every four years is also awesome. Unless of course your country CAN’T EVEN SCORE AGAINST ALGERIA. Sheesh. HAAHAHAHA! My oldest just finished his first season of his first team sport: Soccer. I could NOT agree more. And pro soccer is just as crazy. B/C he played this year, we’ll actually stop on soccer on TV instead of whipping past it in years gone by. It’s more interesting having now watched a full season of youth games, but still very Loooooooooong delays between goals (if any!). I have to agree. when you see a goal, you want to come out of your chair. Goals??? Goals???? What are they??? Oh…hang on a sec….is that the thing that happens when your keeper drops the ball into the net?!! Being English right now….Not so awesome!! thats all I really remember. Watching the world cup is wonderful. Chile defeats Switzerland, Whoo!!!! When my daughter was 5 or 6 she went almost the whole season without even touching the soccer ball. Then during a game one early Sat morning, she broke away from the pack! Going, going, going out of bounds and then onto the adjacent soccer field marked by little orange cones. She scored a goal in the wrong game and all of the parents watching both games cheered her on. She was so proud. We cheered and laughed till we cried. 1 goal is good but 7 is grand. Go Portugal!! I need some help! How does Neil space the pics? You know, pic to the left, text to the right etc. etc.? in wordpress, when you add an image, there is a “left”, “Center” “None” or “right” option in the upload box. I just got The Book of Awesome for my birthday (today, the 21st) from my friend in Newfoundland (I’m in Montreal), and I wanted to say thanks for the awesome. ONE goal? What about SEVEN??? Did anyone see Portugal vs North Korea yesterday? Talk about amazing. AND I WAS THERE!! Woo-hoo! Sorry. Soccer gets me over-excited. How about, watching HandEgg, or American football as you call it, and not having an Ad break every 30 seconds. :o That’d be the day. Hi Kim, Hope you’ve enjoyed your stay in South Africa. Good to see you standing in front of Durban’s beautiful stadium. I’m lucky to have a daily view of it. Interestingly, I edited a book by Derryn Campbell called Awesome South Africa this year. It’s been hitting the best-seller list. So, I guess, synchronicity is awesome! All the best. Soccer is life.If your born with it you’ll die with it and play it for the rest of your life. Fantastic memories of going to the children’s games. For the most part, soccer is still one of the Zen-ier sports in the world. I seen the amoeba and one of them (my son) as turned into a really fine goalie it is an AWESOME thing! Man you have your worlds. It’s true when you’re young and your parents are seeing you play it’s impresive but when you score it’s breef taken. Great blog keep on doing it dude.